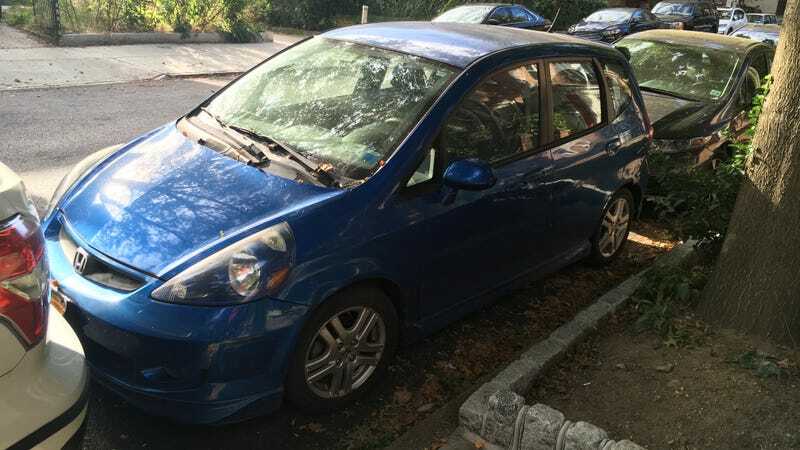 A little less than four years ago, I agreed to accept $9,600 from Bank of America at an interest rate of 4.24 percent, so that I could buy a 2008 Honda Fit from a friend. This morning, I paid it off. I have had, in other words, a lot of time to contemplate the deep stupidity of taking out a loan on an asset that begins depreciating immediately. And so, like millions before me, I went looking for a loan. Some banks refused outright to give me a loan to buy a used car; others offered me terms of varying degrees of good and bad. I can’t remember, exactly, why I settled on Bank of America, but I’m assuming they simply offered me the lowest interest rate. And then the clock started ticking. I had agreed to pay $217.79 a month for the next 48 months, which at the time felt like the next 48 years. And, indeed, at the time I thought that was all fairly normal; most people have car loans right? Or car leases. Or car payments of some kind. And so, too, would I, probably for the rest of my life. Then, at some point, I began considering the terms. I had purchased the car for $8,500, taking out an additional $1,100 for taxes and what not, which I would pay back in addition to $853.99 in interest over the life of the loan. In exchange, I got a vehicle that has now depreciated, according to Kelley Blue Book, around $2,600 (best case! ), meaning that, in effect, I took a double hit. This is bad! You should, as a general rule, put your money into things that appreciate over time, like real estate. Or Pogs. And, indeed, my situation could be worse. I invested in a car that, thanks to Honda’s reputation and the Fit’s reputation specifically, has a higher resale value than most. I also don’t drive that much, meaning that the mileage on my car—which, today, is something around the order of 56,000 miles—has stayed pretty low, also helping its resale value. But even if I stopped driving it forever, the car’s value will never recover. I will just have an increasingly dinged up car on my hands, bought on terms that required me to pay what amounted to a nine percent premium on the original price. “Congratulations on paying off your car loan,” the customer service representative told me on the phone this morning. I felt some measure of relief, but also some bafflement, since I’d always just assumed I’d have this payment with me, like a misbehaving dog that never dies. And yet, here I am, living proof that there is light at the end of your loan tunnel, even if I hope you never have to go down that road to begin with.